Tridel is breathing fresh life into a prime downtown neighbourhood. 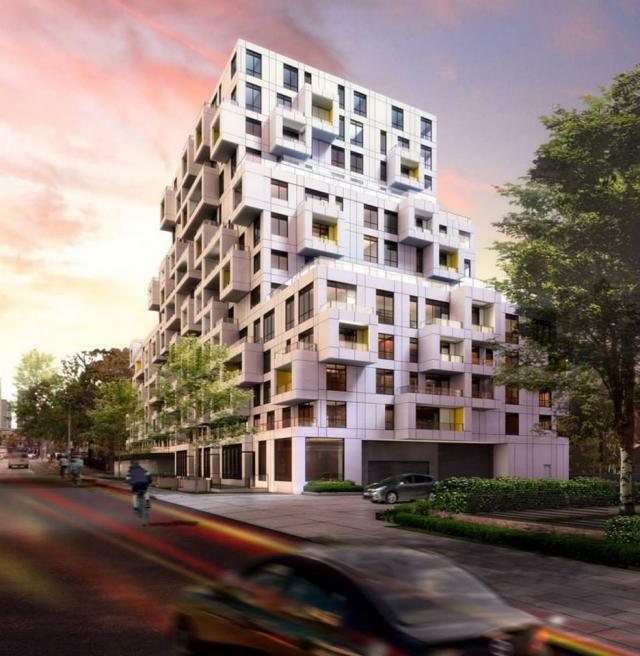 SQ at Alexandra Park (located at 30 Cameron St, near Queen and Spadina) will usher in a renewed vitality and architecturally significant modernism to one of the most central and convenient locations in the city. New public parks and private amenity spaces will add to the natural landscape. New connector streets will provide easy access to the city’s main routes. Charming pedestrian pathways will bring convenient city life to your doorstep. Dramatic new condominiums and townhomes will shape this exciting urban experience. This is a rare opportunity to live in a gloriously invigorated community that’s redefining urban life. SQ is in the epicentre of downtown Toronto. Where the best of everything is at your doorstep, SQ is walking distance to U of T, OCAD, and Ryerson University. SQ is also minutes to the Financial District, Bay Street Corridor, and major area hospitals. Surrounded by the culture and attractions of the Entertainment District, Fashion District, shopping, restaurants, and nightlife on Queen and King West. SQ is one of the most imaginative and desirable condo ownership opportunities in Toronto today. SQ will be 14 storeys with luxurious lifestyle amenities. From the spacious lobby and lounge area with a concierge to the ground floor fitness facilities, including a fully equipped cardio and weight room, yoga studio, and relaxing whirlpool spa. For entertaining your guests, there’s an elegant Party Room with catering kitchen and bar or a private dining room with a fireplace. Watch your favourite film or a championship game on a big screen in the Theatre. Head up to the rooftop to enjoy the Sky Lounge with its BBQ dining areas, outdoor whirlpool and sundeck. Available units range in size from 538 sq ft to 1031 sq ft, and are starting at $334,000. Completion is scheduled for 2017.